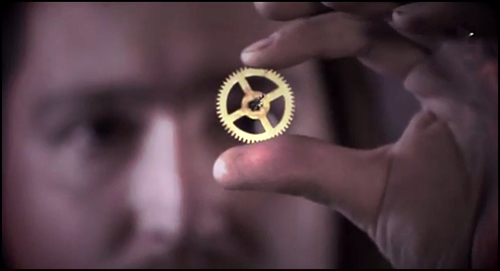 “The Clockwork Heart” is the first episode of “The World of Steam,” a new webseries by Matt Yang King. The concept is elegant: a “Twilight Zone”-style anthology series set in the steampunk genre. During its run on Kickstarter, where it set a record for webseries fundraising, the pilot was endorsed by some very well known geek trendsetters, including Wired, Buzzfeed, Grant Imahara, Felicia Day (with whom I worked on “Eureka”) and Maurissa Tancharoen (with whom I work on “Marvel’s Agents of S.H.I.E.L.D.”). However, none of these people had any influence on me deciding to score “The World of Steam.” I scored this film because it is just really damn good. 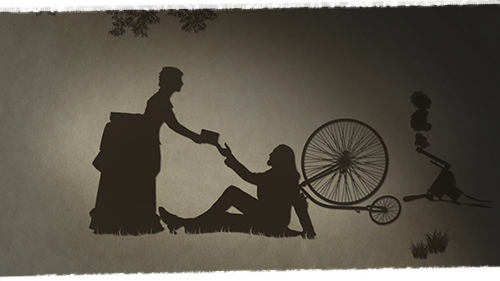 The elegant story and innovative steampunk visual aesthetic immediately hooked me. Yet, it was the film’s reliance on musical storytelling that made it especially appealing. Here was a rare opportunity for lyrical scoring where the music would be at the forefront of the drama. The first thing that stands out about this score is the mechanical percussion. Inspired by the steampunk visuals, I collaborated with sound designer Daniel Colman (with whom I’ve worked on many projects, including “Battlestar Galactica,” “Defiance” and “Marvel’s Agents of S.H.I.E.L.D.”) and my assistant Michael Beach to construct a series of ‘sound percussion’ instruments, built from samples of various gears, clocks, pistons and motors. The series’ Main Title is built entirely from these sounds, and contains no traditionally normal musical instruments whatsoever. This theme is featured throughout the film, first as a flute solo in the opening scene, then prominently on a music box during the animated flashback. Matt employed the music box to great dramatic effect in his story, so it was the perfect opportunity to introduce the theme in a striking way and cement the tune in the minds of the viewers. This gave me great flexibility later in the episode to manipulate the theme in subtle ways. Against the delicate string groove, the metallic gear percussion strikes with deep, rich booms, almost like distant timpani or a gentle roll of thunder. The result is shockingly powerful. Going in, I wasn’t sure the piston percussion would work at all for these uplifting or inspirational passages. Nevertheless, the combination of sounds worked beyond my wildest hopes. 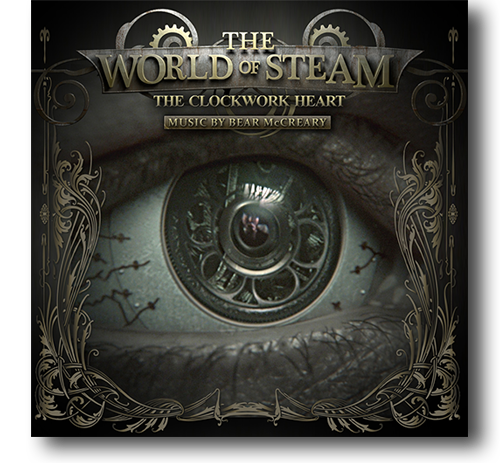 “The World of Steam: The Clockwork Heart” allowed me to do what I love most, to tell a story through melodic music. You can enjoy the score in the film itself, or get the musical experience on its own with the complete soundtrack album, available from iTunes as a digital EP through my label, Sparks & Shadows. Thank you all for reading along this year, loyal blog readers. With “Defiance,” “Da Vinci’s Demons,” “Europa Report,” “Marvel’s Agents of S.H.I.E.L.D.,” “I Forever,” “Don’t Stop Me Now,” “Battlestar Galactica: Blood & Chrome,” the “Caprica” soundtrack, “Metalocalypse: The Doomstar Requiem” and the new season of “The Walking Dead,” I believe 2013 saw more of my music unleashed upon the world in a single year than ever before! And 2014 may shape up to be just as exciting. For a preview of the madness to come, check out Entertainment Weekly’s sneak peek at my “Black Sails” Main Title Theme. See you in 2014. Heavy Holidays and a Metal New Year!